Managing money and risk is one of the most important skills traders should work on when creating their trading plan. Chris Svorcik developed a complete guide to building an effective trading plan entitled “Trading: The Battle Plan”, which aim is to help traders unleash their inner trading soldier. He considers that trading can be very much likened to a battle, and traders to soldiers. Some soldiers end up victorious, while some, unfortunately, do not. Nonetheless, more often than not, the soldiers who do end up winning their battles are the ones who had planned better; the ones who were able to devise of effective battle plans. This article refers to traders’ ability to manage risk and money, which can be considered as one of the core aspects of the creation of an effective trading plan. Always remember that the markets are ever-changing. A tried and tested trading strategy of yours may have been profitable last year or even last month, but now, there is always a possibility that your strategy may be disproven. What you can do in the event your trading strategy seems to have stopped working already is to measure the largest % drawdown on each trading strategy being used. After getting the % drawdown, multiply it by a factor of 1.5 to 2. Once you get the answer, check If the drawdown goes over this figure. If this occurs, STOP using the trading strategy! When should you stop trading? You should always know when to stop trading—this promotes discipline. This will protect you from being greedy with profit and from emotionally running after your losses in a hasty, thoughtless manner. On a ‘Profit Day’, stop trading once your financial target, which was initially set, had already been satisfied. On a ‘Loss Day’, you should stop trading when your trade hits the daily stop. Lastly, on a ‘No Opportunity Day’, you must not trade completely. What will you do with large drawdowns and profits? As a trader, you must always think about your capital in relation to your general financial status. You have to be wise enough to only trade with money you can afford to set aside; money you can afford to lose, if ever your trades go south. You have to ensure that losing the money you will be allocating for trading will not end up badly affecting your personal standard of living. Establish in your plan the parameters of which you are to follow as regards putting in more money during large drawdowns and withdrawing when you gain profit. Which money management approaches will you use in your trading? It will be very helpful to establish your objectives early on. Having a clear set of objectives will be advantageous in determining which money management approaches to apply in your personal trading performance. What will you do once your trades start bringing in profit? Will you risk more of your capital when you trade? Are you going to change your trading strategy and start diversifying? Make this clear for your own sake. Will you lock in profits? In trading, when you use a trailing stop to lock in all your profit, you can either end up having a substantial amount of profit, or having a scratch trade and have no losses—just a breakeven. What is your trade’s transaction size? When deciding how big or how small you want your transaction size to be, you have to bear in mind that the size of your transaction should not be bigger than the set risk management guidelines. Note that some strategies may carry a higher level of profitability; thus allowing you to choose a more sizeable transaction size upon entry. On the contrary, there are other strategies which promise a level of profitability far lower than others. In cases like this, you should choose a more conservative transaction size. As long as I know since when I was a new trader. the money management is a most important part on the trading forex. Here I want to say as I know and this is my experience in my daily trading, that trade with the risk 2% of your fund. I am sure that you as trader will be sustainable in forex trading industry. HOW MUCH PROFIT TARGET OF YOUR FOREX ONLINE TRADING? 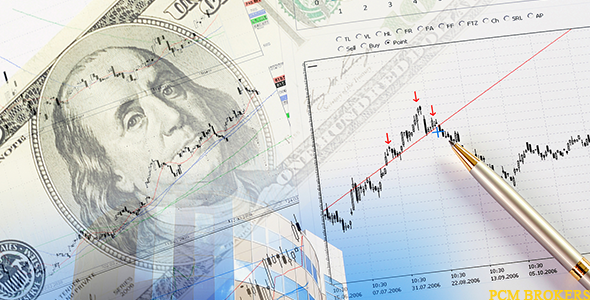 Forex online for nowadays and in the future have a good prospect for traders. Anyone who is dared to enter the forex market can have a great opportunity to produce or achieve maximum profit. Promising opportunity is truly seductive and tempting traders to immediately take a decision to enter the forex market. (Although on the contrary forex market can also make a trader runs out of his/her funds invested). For those who are entering the forex market whether as a beginner or experienced forex trader- my question in this paper is how is your profit target in forex trading activities? Profit targets exist in the minds of our heads can affect the success or failure of our trading. Therefore we need to set it up so that what is being targeted before, is no longer just a dream, but actually able to accomplish. I do not want to patronize, but let's making correction again about the magnitude of profit targets we have set, either daily or monthly targets. Because, according to my observations, the amount of profit targets is crucial to our trading behavior. The bigger of the target, need greater mental pressure to achieve it. It is as if we fail if unable to reach it in one hand. Although on the other hand, a large target can make us more excited. The problem is when we set a big target, we do not have any appropriate skills to achieve it. That is, as a beginner who does not yet has accurate analytical skills and do not have a strong money management, profit targets should not be too large. Because when the transaction was a loss, we are further away from the target. And this, making our trading mental collapse, as all the roads becomes clogged. So how much is a reasonable target? There are some advice for us to define the target $ 50 per day. Is this allowed? Of course. But if appropriate when setting targets $ 50 / day while its capital is only $ 100? Deserve! But for the master traders who are already well aware of the market. For starters, it does not deserve! In conventional business / real sector business, it's normal and usually gain about 10% - 30% per month of the amount of capital. Thus, if we assume trading like a conventional business, then our fair profit target of about 10% - 40% per month as well Take the example of 40% per month. That is the trading time of 20 days within 1 month, if we divide evenly, then the target of 40% of this can we achieve by way of targeting 2% per day. I'm sure this is very easy to achieve. The difficult part is to resist the ego to achieve more. So, if we agree and have the intention of self-only reach 2% per day, so if we just $ 200 capital, our target is only $ 4 / day. What can be achieved? Highly can !! But the result of $ 4 / day was very small? If you seriously want to make the trade, business, capital prepare seriously! What if the loss, even though the money for daily living expenses? That is why we have to separate the family finances with trading the financial, family finances with business finances! Trading your money that really you are prepared to do business. This is my suggestion; if you consider this forex trading, prepare your capital seriously. Prepare a larger capital, so that when the target was reasonable and small, the results are still enough to finance your life. Last edited by sichone; 07-07-2015 at 05:54 PM. The successful traders always give more thoughts on managing their investment capital by taking measures to minimize the associated risks with their investments. But for simplicity, let's just say that there are profitable strategies. The main principle is - that you can ruin good strategy with bad MM, but you CANNOT make bad strategy profitable, by using good MM. We can’t make money here by copying others trading system, but if we can build a trading system based on our experience & knowledge and then practice enough, definitely it’ll be a profitable one. By the way, I got your core point and definitely I do agree with you.